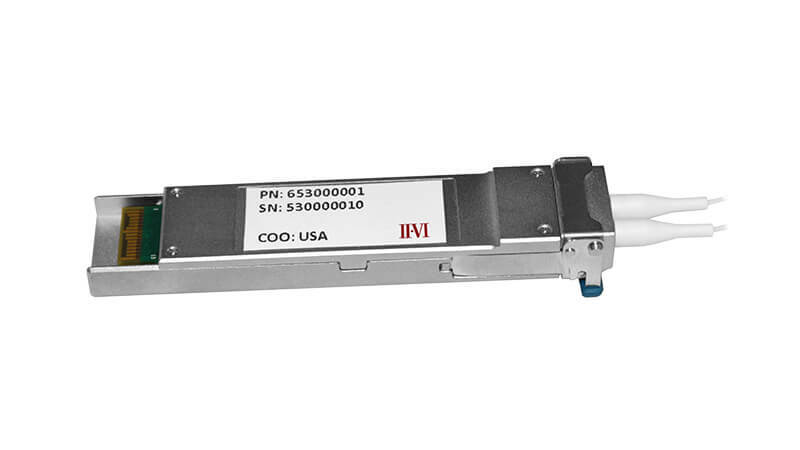 II‐VI Incorporated (NASDAQ:IIVI), a market leader in optical monitoring solutions for next generation optical networks, today unveiled its dual port pluggable Optical Time Domain Reflectometer (OTDR) for embedded network monitoring applications in carrier and data center networks. Communications and cloud service providers increasingly deploy network-embedded monitoring capabilities to deliver improved quality of service cost effectively. II-VI’s dual port pluggable OTDR, with a compact XFP interface, monitors the integrity of two fibers with advanced digital processing algorithms that enable data analysis in real time. II-VI’s industry leading portfolio of products for embedded monitoring includes high resolution OTDR and optical channel monitor (OCM) modules. The dual port pluggable OTDR is in the sample stage and will be generally available in early 2019. II-VI will showcase its portfolio of optical communications products at ECOC in Rome, Italy, September 24-26, 2018 in Booth #323.